Brad Crowley is the Operations Manager at SERVPRO of East Central Waukesha County. Brad is a state licensed general contractor and has 12 years of experience and advanced training from the Institute of Inspection, Cleaning, and Restoration Certification in Applied Structural Drying, Water Damage Restoration Technician, and Applied Microbial Remediation Technician. John Zuge is the Production Manager at SERVPRO of East Central Waukesha County. John has advanced training from the Institute of Inspection, Cleaning, and Restoration Certification in Applied Structural Drying, Applied Microbial Remediation Technician, Water Damage Restoration Technician, and Carpet Cleaning Technician. 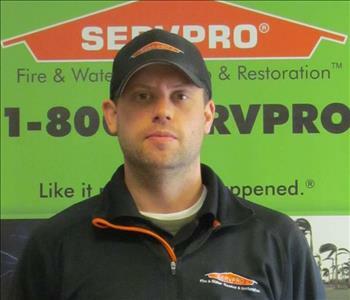 John has been with SERVPRO of East Central Waukesha County for 9 years. Etta Llanas is the Office Manager at SERVPRO of East Central Waukesha County. Etta has 10 years of experience handling customer damage situations. Etta has certification from the Institute of Inspection, Cleaning and Restoration Certification in Water Damage Restoration Technician. Andy Kahrs is the Sales & Marketing Manager at SERVPRO of East Central Waukesha County. Andy has 8 years working with SERVPRO and certifications from the Institute of Inspection, Cleaning and Restoration Certification in Applied Structural Drying, Applied Microbial Remediation Technician, Water Damage Restoration Technician, Fire and Smoke Remediation Technician, Carpet Cleaning Technician. Todd Gutowski is the Rebuild Manager at SERVPRO of East Central Waukesha County. Todd has 19 years of experience in the building construction with extensive product knowledge. Todd has certifications from the Institute of Inspection, Cleaning, and Restoration Certification in Fire & Smoke Technician, Odor Removal Technician, Water Damage Restoration Technician. Tracy Tarwacki is the Accounting Manager at SERVPRO of East Central Waukesha County and has over 9 years experience in handling customer transactions. Tracy takes care of our franchise's payroll, benefits, and collects, verifies and reports on finances. She has 9 years of experience handling customer transactions. 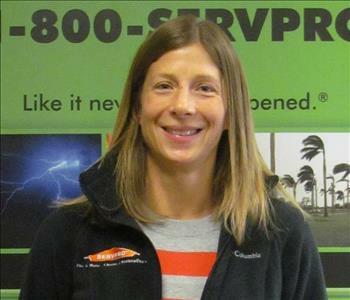 Janette Eckel is the Rebuild Administrator at SERVPRO of East Central Waukesha County. Janette has over 4 years experience supporting the rebuild coordinators with scheduling, product selections, paperwork, and customer service by fielding customer calls and helping rebuild clients. Christina Schrubbe is the Mitigation Administrator at SERVPRO of East Central Waukesha County. Christina fields customer calls and coordinates emergency service response. Christina supports the Mitigation Crew Chiefs in the field and communicates project updates to customers and Insurance providers. Darryl Vogel is Shop Manager at SERVPRO of East Central Waukesha. He takes care of the maintenance schedule of our fleet of vehicles, maintains, repairs and orders equipment, tracks inventory, manages deliveries, provide lawn maintenance and is the "go-to" contact for anything in the warehouse. Andy Webber is a Mitigation Project Manager at SERVPRO of East Central Waukesha County. Andy has 8 years of experience responding to water, fire, mold, specialty cleaning projects. Andy has certifications from the Institute of Inspection, Cleaning, and Restoration Certification in Water Damage Restoration Technician and Applied Microbial Remediation Technician. Andy Geiger is a Mitigation Project Manager at SERVPRO of East Central Waukesha County. Andy has 8 years of experience responding to water, fire, mold, specialty cleaning projects. Andy has certifications from the Institute of Inspection, Cleaning, and Restoration Certification in Water Damage Restoration Technician and Applied Structural Drying. Veronica Nolasco is a Crew Chief at SERVPRO of East Central Waukesha County and manages the Contents Cleaning area. Veronica has over 12 years of extensive experience with Detail Cleaning, Contents Cleaning, Fire and Smoke Damage and Biohazard Cleaning. 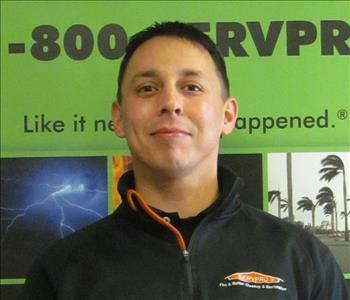 Rick Rodriguez is a Crew Chief at SERVPRO of East Central Waukesha County. Rick has over 5 years of experience responding to water, fire, mold, specialty cleaning projects. He has certifications from the Institute of Inspection, Cleaning, and Restoration Certification in Fire and Smoke Restoration and Water Damage Restoration. James Jones is a Crew Chief at SERVPRO of East Central Waukesha County. James has 2 year experience and certifications from the Institute of Inspection, Cleaning, and Restoration Certification as a Carpet Cleaning Technician. Ryan Stanley is a Technician at SERVPRO of East Central Waukesha County. Ryan has over 2 years experience and has certifications from the Institute of Inspection, Cleaning, and Restoration Certification in Water Damage Restoration and Carpet Cleaning. Terrell Hunley is a Technician at SERVPRO of East Central Waukesha County. Pilo Valles is a Technician at SERVPRO of East Central Waukesha County. 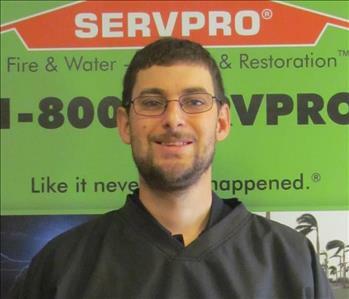 Thomas Curlee is a Technician for SERVPRO of East Central Waukesha County. Miguel Chiguito is a Technician at SERVPRO of East Central Waukesha County. Destiny Taylor is a Technician for SERVPRO of East Central Waukesha County. Ernest Moore is a Technician for SERVPRO of East Central Waukesha County. Guy Hubred is a Technician for SERVPRO of East Central Waukesha County. Jose Lopez is a Technician for SERVPRO of East Central Waukesha County. Devin Yuris is a Technician for SERVPRO of East Central Waukesha County. Judidt Zarate is a Technician at SERVPRO of East Central Waukesha County. She has experience in Detail Cleaning, Contents Cleaning, and Fire and Smoke Damage Cleaning. Silvia Martinez is a Technician at SERVPRO of East Central Waukesha County. She has experience in Detail Cleaning, Contents Cleaning, and Fire and Smoke Damage Cleaning. Marcela Soto is a Technician at SERVPRO of East Central Waukesha County. She has experience in Detail Cleaning, Contents Cleaning, and Fire and Smoke Damage Cleaning. Enriqueta Martinez is a Technician for SERVPRO of East Central Waukesha County. Mike Bartsch is a Commercial Sales & Marketing Representative at SERVPRO of Milwaukee North. Mike markets to assisted living facilities to let people know about our services. He is also a participating member of IFMA. Mike represents SERVPRO at safety fairs in the community and Chamber of Commerce events and helps in Commercial Fire & Water calls identified by SERVPRO corporate. Rebecca Jahns is a Commercial Account Manager for SERVPRO of East Central Waukesha County. Making mid to large size businesses and schools aware of the SERVPRO advantage for emergency and restoration services. Managing the business relationship through disaster recovery. Member of IFMA, BOMA, Menomonee Falls Chamber of Commerce and Brookfield Chamber of Commerce, serving as a New Member Engagement Partner. Joletta Kerpan is a Sales & Marketing Representative at SERVPRO of East Central Waukesha County. She markets to insurance agents to educate in our services and also participates in safety fairs for the community and Chamber of Commerce events. Joletta takes care of online marketing, websites and social media in addition to maintaining the calls list and tracking referral sources. Shaun Webber is part of our Rebuild Department and is a Carpenter at SERVPRO of East Central Waukesha County. Shaun has 15 years of experience installing windows, exterior flashing, interior framing, cabinetry, and finish woodwork. Dean Llanas is Estimator and Rebuild Coordinator at SERVPRO of East Central Waukesha County. Dean has 6 years of experience in structural damage estimating and rebuilding. 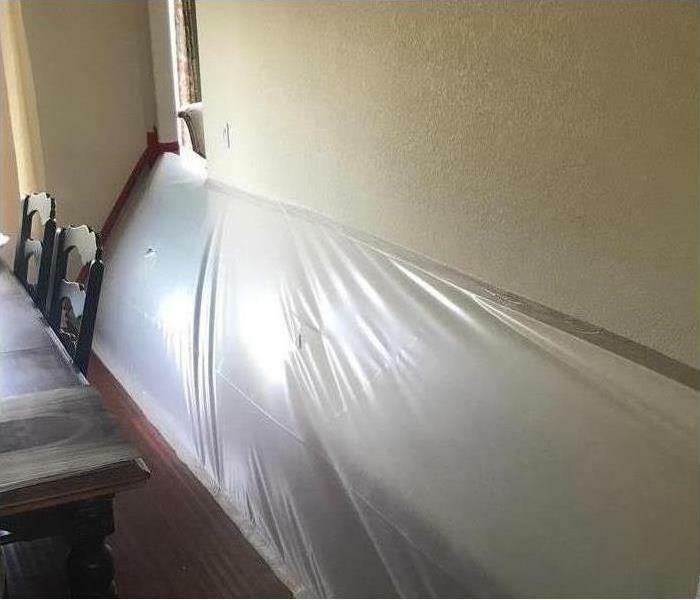 Dean has certifications from the Institute of Inspection, Cleaning, and Restoration Certification in Applied Structural Drying and Water Damage Restoration Technician. Russ Maki is an Estimator and Project Coordinator and is a part of our Rebuild Department at SERVPRO of East Central Waukesha County. Russ has 4 years experience in rebuilding residential homes and 2 years experience in commercial repair. Scott Meissner is one of our Rebuild Coordinator/Estimator at SERVPRO of East Central Waukesha County. He has over 25 years of experience in both commercial and residential new construction, remodeling, and customer service. Ron Drea is part of our Rebuild Department and is a Carpenter at SERVPRO of East Central Waukesha County. Bill Maurer is part of our Rebuild Department and is a Carpenter at SERVPRO of East Central Waukesha County.